San Francisco: San Diego attorney Dulce Garcia has regularly defended clients in immigration court. Now, she is the one seeking legal relief. 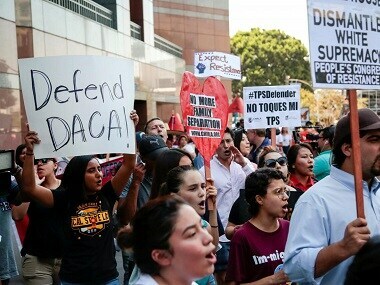 Brought to the United States illegally by her parents as a child, Garcia is one of six immigrants who sued the Trump administration on Monday over its decision to end the Deferred Action for Childhood Arrivals, or DACA, programme. Since it was authorized in 2012 by President Barack Obama, the programme has provided protection from deportation and the right to work legally to nearly 800,000 young people. Garcia’s case, filed in San Francisco federal court, is the first to be brought by DACA recipients, known as Dreamers, since US Attorney General Jeff Sessions announced earlier this month that the Obama-era policy would start winding down in March 2018, according to Garcia’s lawyers. It is among several lawsuits challenging the decision to end DACA, including two cases brought by state attorneys general. The legal claims in all of the cases, including Garcia‘s, are similar: that the Trump administration did not follow proper administrative procedure in rescinding DACA, and that making enforcement promises to a group of people, only to revoke them, violates due process. The Trump administration has said it is ending DACA because Obama overstepped his constitutional authority when he bypassed Congress and created the DACA programme unilaterally. 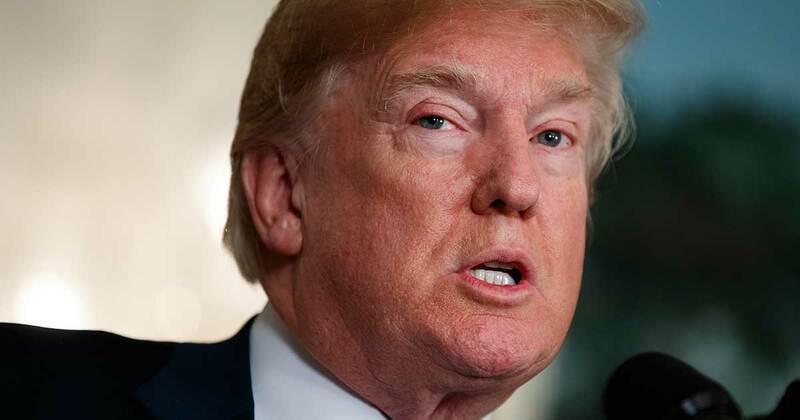 President Donald Trump called on Congress to enact a law to protect DACA recipients and last week angered some of his fellow Republicans by negotiating with top congressional Democratic leaders on possible legislation. 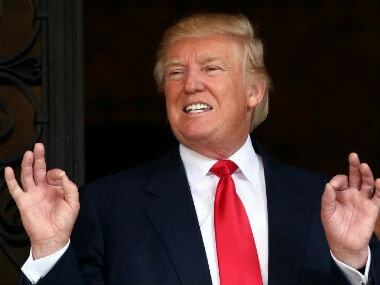 During the 2016 presidential election Trump ran on a hardline immigration platform, promising to end DACA and strengthen border protections in order to increase jobs for US workers. The daughter of a hotel housekeeper and a welder, Garcia arrived in Southern California from Mexico at the age of four. A few years later, she said, her family was ousted from their apartment because the property contained illegal units. “We were living out of my dad’s truck for a little bit there,” she said. Garcia decided to become an attorney after working for a criminal defense lawyer in high school. She put herself through school working for lawyers and performing other jobs such as parking cars. After Obama announced DACA in 2012, Garcia, now 34, seized the opportunity. When she filled out forms for a social security number in 2013, the government clerk congratulated her. “I cried right there,” she said. The case on behalf of Garcia and other DACA recipients could be heard with two separately filed San Francisco DACA cases, one brought by the University of California and the other by a group of state attorneys general, led by California’s Xavier Becerra. Another group of attorneys general, led by New York’s Eric Schneiderman, filed a lawsuit over DACA on 6 September in Brooklyn federal court. 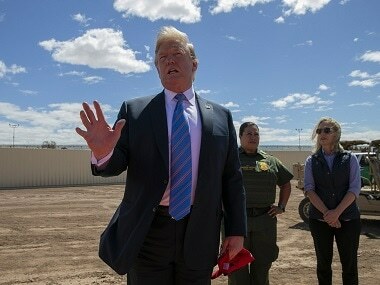 Legal experts have said court challenges to Trump’s decision could face an uphill battle because a president typically has wide authority in implementing immigration policy. Jirayut “New” Latthivongskorn, another plaintiff in the lawsuit on Monday, was brought to the United States from Thailand when he was nine. Latthivongskorn is now a fourth year medical student at University of California San Francisco and a master’s degree candidate in public health at Harvard. His DACA work authorization expires in January 2019. His medical residency is not set to begin until a few months after that, and could be impossible if he loses his authorization to work legally. Garcia said that having to advise some of her DACA clients that there may be no help for them while at the same time trying to address her own immigration status takes a toll.